Give hungry kids a healthy after school snack that will give them natural energy instead of sugary foods that will make them sluggish. 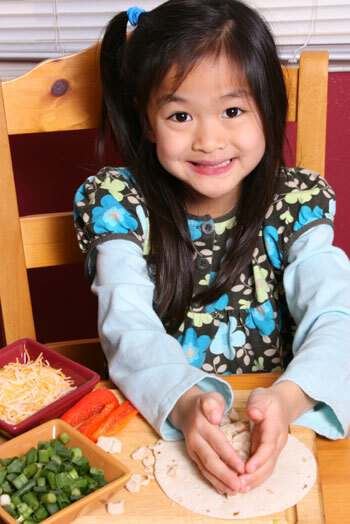 Here are a few ideas on how to keep after school snacks healthy and satisfying. If your kids come home to an empty house chances are they are not going to cut up fruit and veggies to eat as a snack, but if you already have them cut and paired with a fun dip or sauce they will be more likely to eat them. You can even slice pieces of cheese and lunch meat to eat with crackers or pita bread wedges to dip in hummus. Simply thinking ahead can save you time when your kids come home hungry and it makes things easier if they come home alone. Again, if your kids have free rein of the kitchen when they get home, pre-portion a snack for each child so they will eat a healthy amount. Dips with whole-grain breads are perfect for this because you can spoon a few tablespoons of dip into a bowl and wrap it with a few crackers or slices of bread and they will have a snack ready and waiting. If your kids are clamoring for something sweet then you can give them a sweet and healthy after school snack and still feel good about it. Fruit slices drizzled with low-fat or fat-free caramel or chocolate sauce is a good option or homemade popcorn tossed with just a hint of butter and sugar will satisfy their sweet tooth. Also, fruit dipped in brown sugar or graham crackers topped with cream cheese and jam make for a low-cal cheesecake. And to even get some dairy in the mix, low-fat chocolate milk is a terrific option, just be sure to watch the calories and sugar content. Homemade fruit popsicles are also a refreshing and light option; be sure to use 100% real fruit juice and for an added bonus mix in some diced up fruit. Not ever snack has to be cold; there are delicious hot snacks that are super simple to make. Quesadillas are an old stand-by and can be made healthy with whole grain tortillas, low-fat cheese, and adding lots of steamed veggies. Mini pizzas are also easy to make on pita breads, small tortillas, or mini bagels. Again, using whole grains, low-fat cheese, low-fat sauce, and some veggies makes this a healthy snack. Smoothies are always filling and healthy option for healthy after school snacks. Use low-fat milk and ice or fat-free yogurt instead of ice cream and load it up with lots of fresh or frozen fruit. You can even add some extra protein by using peanut butter or any other nut butter. For a little sweetness add a few teaspoons of chocolate syrup, but that is not usually necessary with the sweetness of the fruit. Basically any fruit can be used so freeze fruit from the summer and use them all winter for refreshing smoothies for your kids.